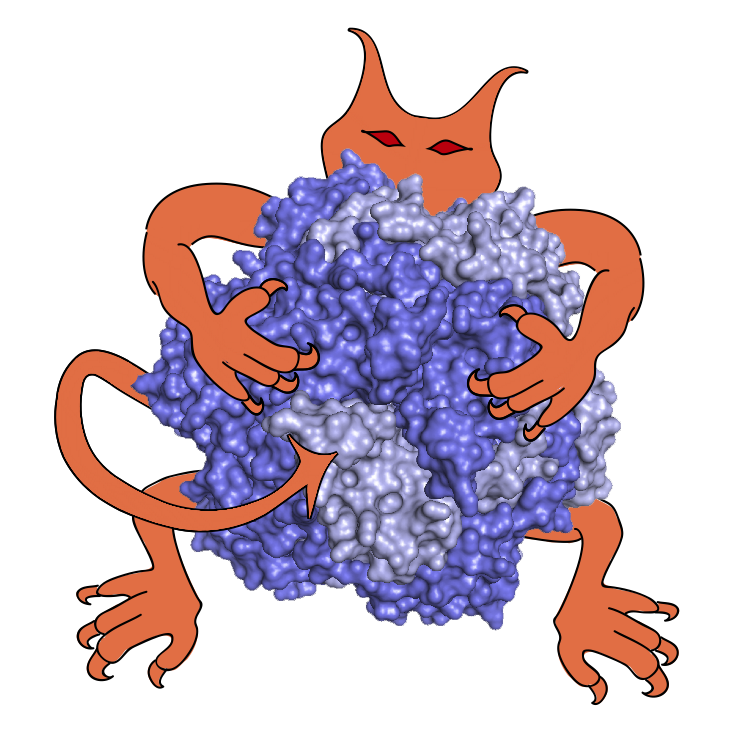 The 21-subunit Mediator complex transduces regulatory information from enhancers to promoters, and performs an essential role in the initiation of transcription in all eukaryotes. In this study we performed chemical cross-linking and mass spectrometry, and combined the results with information from X-ray crystallography, homology modeling, and cryo-electron microscopy by an integrative modeling approach to determine a 3-D model of the entire Mediator complex. The approach is validated by the use of X-ray crystal structures as internal controls and by consistency with previous results from electron microscopy and yeast two-hybrid screens. The model shows the locations and orientations of all Mediator subunits, as well as subunit interfaces and some secondary structural elements. Segments of 20-40 amino acid residues are placed with an average precision of 20 Å. The model reveals roles of individual subunits in the organization of the complex. The scripts were run for the publication with IMP.pmi version from 915c00bac191ab32f022ae425facf538b64e3e54 to 32a774583007c3a7135c8adf970846ea7a52f453 and IMP version 3d7d35a367342a94655b5ca2f75cc4d4fb2d5c71. They should also work with any recent version of IMP. For more details on how to install IMP, run the modeling scripts and analyze the results using IMP and IMP.pmi see the IMP tutorial. In brief, to use Replica Exchange, IMP must be compiled using an openmpi c++ compiler. We suggest to compile openmpi with the --disable-dlopen flag. See the IMP building instructions. precision.0.0.out,precision.0.1.out,precision.0.2.out,precision.0.3.out ... precision.3.3.out: files containing the precision of a cluster (i.e., the files with the same indexes, precision.i.i.out, e.g., precision.0.0.out) and the files containing the distance between the clusters (i.e., files with different indexes, precision.i.j.out). view1_matrix: used by Chimera session file. view2_matrix: used by Chimera session file. high_confidence_structure.py: get the cluster-center solution and map the RMSF of beads with a color. Need Chimera to display it. full_med_splitmods.txt: mediator cross-link dataset, cvs file. asturias_mediator_translated.mrc: the map translated in the coordinate center. asturias_middle_module_translated_resampled.mrc.gmm.29.mrc: mrc file with the GMM approximation of the middle module density, with 29 gaussians. asturias_middle_module_translated_resampled.mrc.gmm.29.txt: text file with 29 gaussian coordinates and covariance tensors for the middle module. asturias_tail_module_translated_resampled.mrc.gmm.49.mrc: mrc file with the GMM approximation of the tail module density, with 49 gaussians. asturias_tail_module_translated_resampled.mrc.gmm.49.txt: text file with 49 gaussian coordinates and covariance tensors for the tail module. calculate.density.sh: script used to calculate the GMMs.